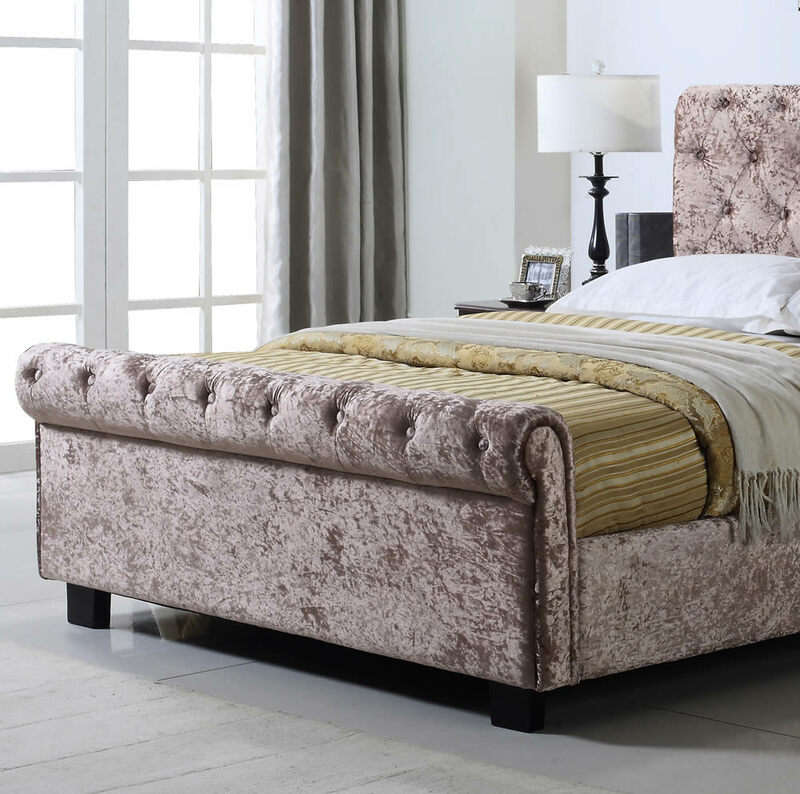 The Whitford side ottoman bed frame by Flintshire Furniture in a mink crushed velvet fabric features a lift up side opening mattress base offering easy access to the large under bed storage space. 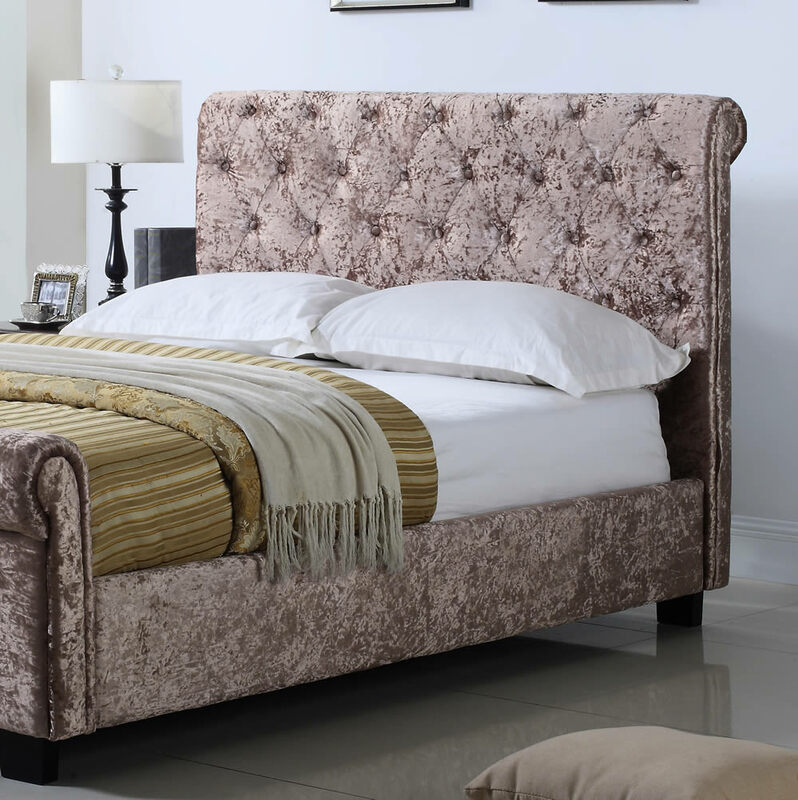 An elegant bed frame with a tall headboard and low foot end covered in a luxurious crushed velvet soft fabric. 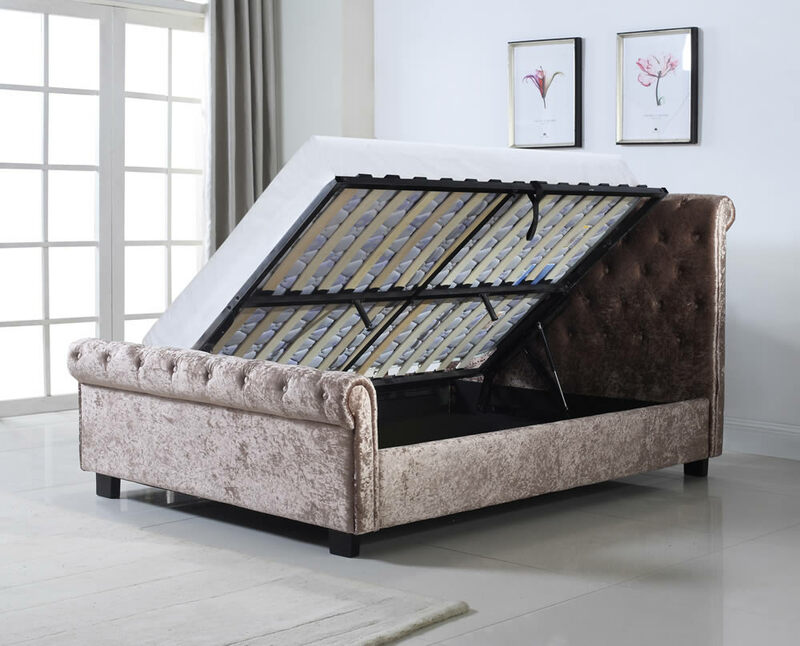 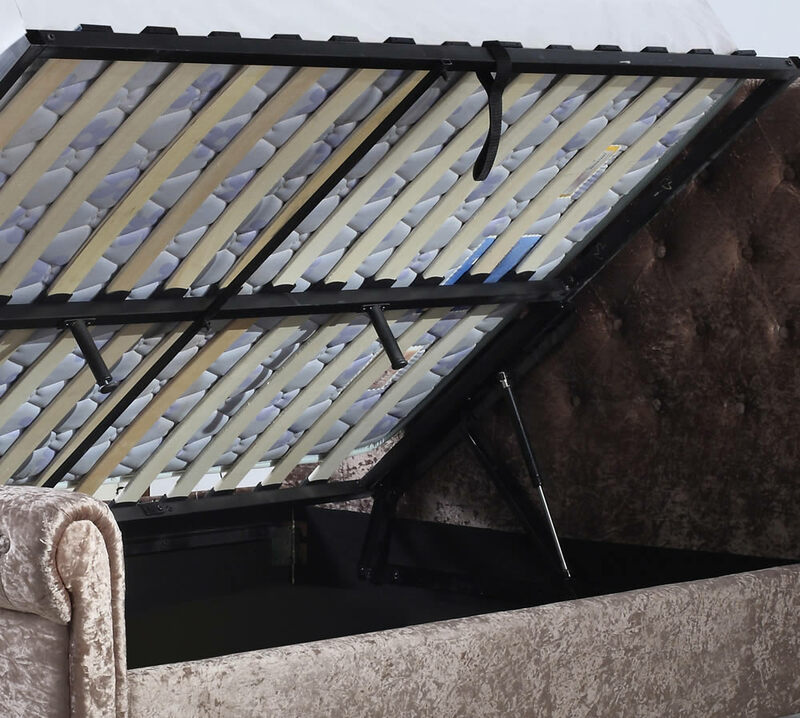 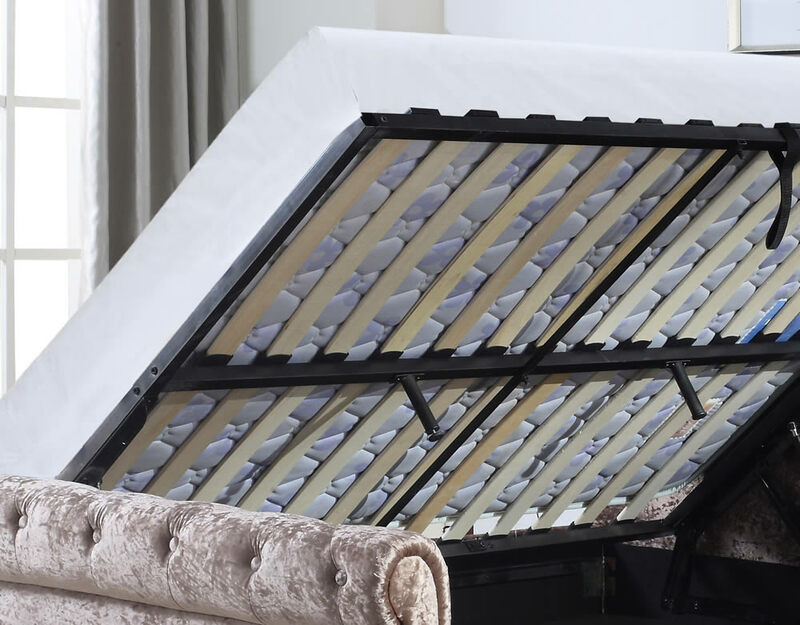 The lift up mattress base offers two rows of sprung slats and is hydraulic assisted to make it easier to lift and safer to put back down when accessing the under bed storage. 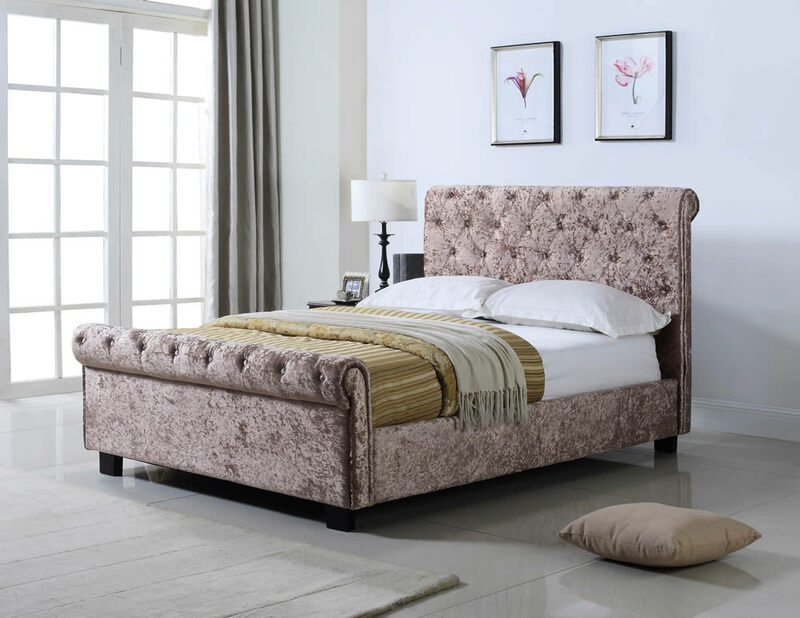 The lift up frame can be assembled to open from the left or right side of the bed frame to best suit the bedroom layout.